Are you having trouble with your furnace or boiler and need heating repair in Garwood, NJ? Do you need to schedule routine maintenance for your air conditioning system? Is your toilet worn out and you need a new one installed? Rite Rate is a reliable plumbing, heating, and air conditioning company in Garwood, NJ. We pride ourselves on 100% customer satisfaction with every service. Our services consist of repairs, installations, maintenance, and replacements. 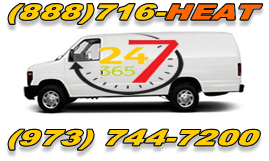 When you need a 24/7 heating company in Garwood, NJ, trust the experts at Rite Rate. We’re quick to respond and can easily diagnose whatever issue you may have with your hot water heater, boiler, or furnace. If it needs minor repairs to replacement of valves, switches, or wires, Rite Rate has you covered. When you need a new heater for your home or business, we’ll recommend the best one. Whether it’s a new hot water heater or heating repair in Garwood, NJ, call Rite Rate for affordable services. Is your AC not working? Do you need a new air conditioner installed? At Rite Rate, we specialize in air conditioning installations, replacements, maintenance, and repairs. Our HVAC technicians are highly-skilled to handle every make and model of commercial and residential air conditioners. With our expertise and customer satisfaction history, we’re the preferred air conditioning company in Garwood, NJ. If you need 24hr AC repair or a new heat pump, our air conditioning services are high quality and affordable. At Rite Rate, our plumbers are available 24-hours a day, 365 days a year in case you have a plumbing emergency. If it’s an issue with a toilet flooding your bathroom, leaky pipe, or a dirty drain, we have the solution! Our plumbers can fix, replace, and install any pipe, faucet, sink, shower, toilet, and drain to name a few. For a quality plumbing, air conditioning, and heating company in Garwood, NJ call Rite Rate today!